Springfield Central hopes to exert revenge on St. John's in this year's Div. 3 State Semifinals. On Friday, Scituate captured its first sectional title in program history but they hope that was simply a pit stop ontheir road to a championship. Behind quarterback Aidan Sullivan the Sailors have more than enough in the tank to take home the Div. 5 Super Bowl. Scituate's lone loss came against Div. 3 South champion Duxbury earlier this season, 35-23. In the postseason, they have performed well under pressure when needed with Sullivan leading Scituate on a 97-yard, game-winning drive in the Sailors opening round win over Dennis-Yarmouth. Surrounding Sullivan is breakout junior running back Will Sheskey. The two form a one-two punch for an offense that has scored 106 points so far this postseason. Defensively, the Sailors have been clutch. Not only did the unit shutout Canton less than a week ago, it also came through with a crucial goal-line stop against D-Y in that aforementioned opening round postseason victory. "This is going to be the biggest game of our lives. Just knowing that we only have maybe three left as seniors is really motivating," said Sullivan. "Swampscott has some terrific athletes and really good receivers, so we're going to have to be fired up and ready to go." The Sailors will first have to go through a Swampscott team that has been in command for most of the season and has a high-powered offense of its own. Quarterback Graham Inzana and wide receiver Andrew Augustin have developed a muscle-memory connection. Zack Palmer has been key both on special teams and on defense. Dylan January does the heavy lifting on the ground. The winner between Scituate and Swampscott will take on either Nipmuc or Longmeadow. Nipmuc edged Oakmont before upsetting top-seed Northbridge to grab the central crown. Longmeadow, meanwhile, has yet to allow a point so far this postseason outscoring Ludlow and East Longmeadow by a combined 49-0 to claim the Div. 5 west title. Division 3 features two high profile matchups with Duxbury facing off against Tewksbury on one side and St. John's Shrewsbury and Springfield Central set to go at it in a rematch from a year ago on the other. The Dragons are likely the favorite amongst the four remaining teams, with its multiple threat offense and its stingy defense wrecking havoc all season on opposing teams. Duxbury has been in a one possession game only one time this season and that came in the form of a 12-6 win over Plymouth North back in week three of the regular season. John Roberts, a SuiteSports Player of the Year candidate, has been as good as any quarterback in the Bay State. Will Prouty and Tim Landolfi are two premiere options that help open up the Dragons offense. Duxbury, however, will have to get past a Tewksbury team that has all the pieces of a champion. One season after losing in this exact game, the Redmen would love some redemption. Jay Connolly has been clutch under center as evidenced by his three touchdown performance in the sectional final versus Danvers. Shane Aylward is one of the top athletes in Massachusetts and Jack Kelly is a power back. On the flip side of the bracket, the Golden Eagles will hope to get some revenge on the Pioneers after St. Johns ended their season a year ago. Since falling in week one to Lincoln-Sudbury, Central has blown away the competition including a 61-39 victory over St. John's in week two. Myles Bradley, Keshaun Dancy, and Kwame Kyles are the stars while Isaac Boston has made some key completions. If St. John's is hoping to reach Gillette once again it will likely need another monster performance out of its juggernaut of an offense. Quarterback Colin Schofield, running back Eamonn Dennis, and wideout Jay Brunelle lead the charge with Shea Gallo-Kolegue a versatile playmaker. In Div. 4, the winner of Nashoba and Gloucester will earn the chance to take on Dighton-Rehoboth in the Super Bowl. The Chieftains are winner of three straight and have played suffocating defense for most of the season. Offensively, Sam Bolinsky has been one of the breakout stars of this football season while Alex Childs is a workhorse out of the backfield. Gloucester has relied on its ground game for success. That was never more evident than its sectional final win over Wayland. Marc Smith, Jan Pena-Ortiz, and Daylon Lark makeup the three-headed monster rushing attack. Old Rochester is headed to the Super Bowl in Div. 6 and awaits the winner of Stoneham and Littleton. Living off their double wing offense, the Spartans have been on cruise control for most of the season. They have a bevy of dangerous runners highlighted by Christos Argryopoulos and Seth Russell, while its defense cannot be overlooked. Stoneham has scored at least 48 points in all three of its playoff games to date. Littleton captured the Div. 6 central title in style shutting out Blackstone-Millville, 34-0. Mitch Beaudoin has been key for the Tigers on both sides of the ball while Austin Lynn is an x-factor. The Tigers rely on a dual-threat quarterback system with Will Scott and Braden Lynn both capable of facilitating big plays. Div. 7 features one of the more interesting matchups of the weekend with St. Mary's set to take on Cohasset. The Skippers became ultimate road warriors during their run through Div. 7 South as emphasized by their wins over Mashpee and Abington. Clifford Ward has been a weapon both as a receiver and on defense. Quarterback Matt Lund has only progressed since the start of the season and Mark Mahoney can be an impossible cover at times in the passing game. St. Mary's once again proved that they are a threat no matter its seeding taking down top-seeded Greater Lawrence and then No. 2 Nashoba Tech in the sectional final. 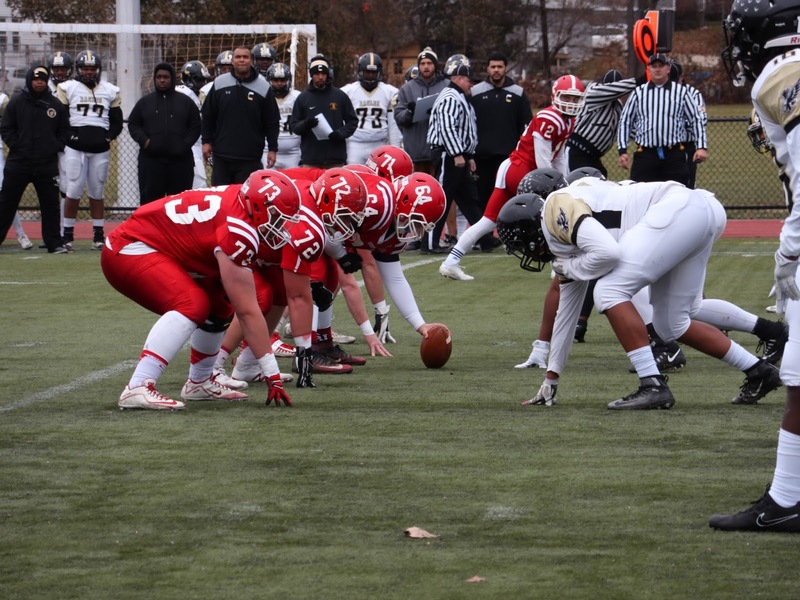 The Spartans, who have now won four consecutive sectional titles, are buoyed by a lethal rushing attack consisting of Jalen Echevarria and Connor Donahue. The winner will play either Blackstone Valley of Wahconah. Wahconah has dominated the field so far this season, including a rout of South Hadley to win the West. Quarterback Tim Clayton and running back Connor Noyes are two of the better players in the division. Noyes had 112 rushing yards and a pair of touchdowns in the win over South Hadley. West Bridgwater surprised some with its big win over Coyle & Cassidy in the Div. 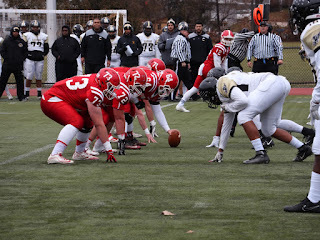 8 South Final, and now faces a steeper challenge when they take on Pope John with a trip to the Super Bowl on the line. Christian Keeling has done the heavy lifting for the Wildcats rushing for 280 yards in their sectional final victory. Pope John, meanwhile, has been no match for any team in its way with its speed and athleticism simply overpowering. Sophomore Greg Smith has emerged as a playmaker for the Tigers while Anthony Mejia and John Smith Howell are the stars on offense. Hoosac Valley is hoping to make it a second straight Gillette Stadium appearance when they take on St. Bernard's in the other Div. 8 State Semi-Final. The Hurricanes have only scored 28 points so far this postseason, but have been bolstered by a stingy defense that held high-powered Lee to just 14 points. St. Bernard's has been nothing short of explosive so far this postseason. The Bernardians outscored their two Div. 8 Central opponents by a combined score of 82-14. Domenic Cuevas runs the offense while Maxwell Bigelow and Walter Morales have been key playmakers.